The name Comrade Sukubo Sara-Igbe Sukubo is not new as far as Rivers youths are concerned. Sukubo is an house hold name. Unequivocally, the name rings a bell across the length and breadth of Rivers State. Rt. Comrade Sukubo is not an upstart in the administration of youth bodies. Before he ascended on the leadership seat of the Rivers State chapter of the National Youths Council of Nigeria, NYCN, Rt. Comrade Sukubo had been a youth president of Offoama community and AKULGA Youths Council. He is a frontline youth activist in Rivers State. Rt. Comrade Sukubo Sara-Igbe hails from an ancient Kula community in Kalabari kingdom. He is a man of peace and goodwill. Since he mounts the leadership of Rivers NYCN, Rivers Youths are happy. Through his initiatives, programmes and policies, the Rivers NYCN has been repositioned for vibrancy and efficiency. With Rt. Comrade Sara-Igbe’s ideas youths in Rivers State are now forward looking. Besides Rivers NYCN, Sara-Igbe is the leader of Coalition of Civil Rights Organizations Concerned Youths and the Ijaw Nation Worldwide. He is a man of justice, fairplay and equity. 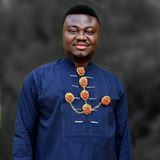 The Kalabari born youth activist has taken the Rivers Youths to the enviable heights and placed them on the speedy path of development. Nobody will doubt the efficacy of Rt. Comrade Sara-Igbe’s leadership because he has all what it takes to turn around the fortunes of the Rivers State through the support of Governor Nyesom Wike, who is a youth friendly governor. Rt. Comrade Sara-Igbe is the answer, I pray that the state government give him the necessary support to succeed because the youths believe him, the youths respect him, the youths obey him and the youths are lining up behind him to take them to the promised land.